There are few traditional things about Dave Talma’s classroom. 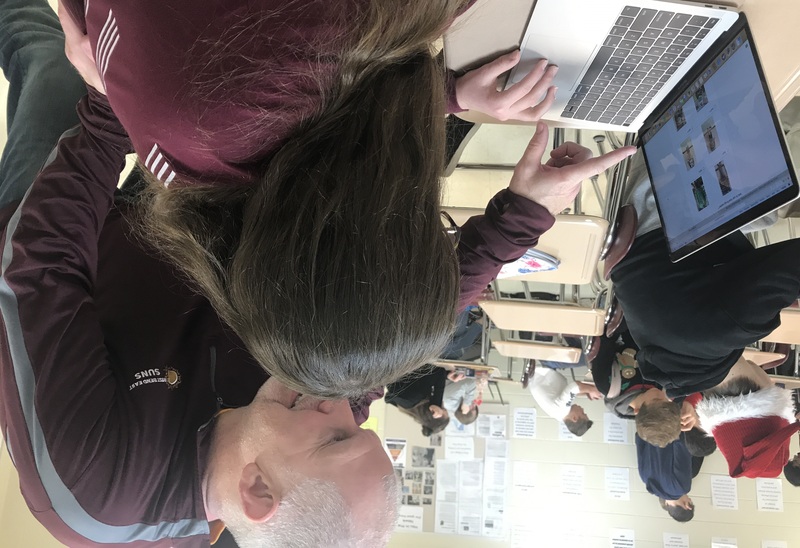 Talma, a social studies teacher at West Bend East High School, utilizes a different way of teaching, employing terms like “flipped classroom” and “standards-based grading.” During this school year, he put these ideas into full practice, although he did experiment with the flipped classroom philosophy last school year. Standards-based grading is the use of standards to measure what a student has learned. Talma also includes the idea of the student “owning their learning.” This essentially means that the student is in control of what they learn by making the decision to read the textbook or watch extra videos (putting in extra time), even though it is not a requirement. The idea of standards-based grading first appealed to Talma because of the idea of retakes, for which he allows unlimited amounts. East principal Darci VanAdestine is in full favor of Talma’s ideas. Talma also uses the philosophy of a flipped classroom. Essentially, this is the idea of inverting the learning process so that the students come to class with that day’s lesson already completed. Students usually watch a video or read the textbook before a discussion in class so they come prepared. East sophomore Kyra Price has very positive opinions about Talma’s classroom. With the flipped classroom, Price feels that she has more control over what she learns. She also expressed contentment with standards-based grading.